Two external diskdrives in one casing. Nice! Ever wanted to play A1 spirit? Never mind the card, never mind the bent keyboard. 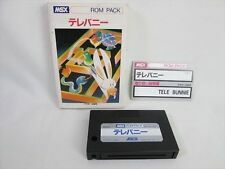 This is not an MSX1 prototype, but a turboR prototype!